I am based in Bristol. I used to race, now I tend to write. If you’ve ordered a book, they are all now in transit. I have been playing “Alf signature roulette”. You might find you have an Alf signed copy. Don’t forget: Bristol talk is THURSDAY at the Windmill in Bedminster. A nice review from Brian at The Washing Machine Post. Brian doesn’t do capital letters. paul jones, author of the previously reviewed mousehold press publication ‘a corinthian endeavour’ proved with that particular book that, beyond any doubt, he is possessed of inherent skills as a wordsmith. i like alf ranks alongside many of the other superb publications to come from adrian bell’s mousehold press. the latter has proved to possess an uncanny knack of publishing cycling books that have changed the face of the genre. 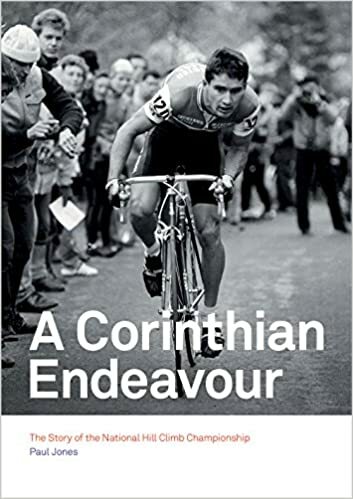 classics such as herbie sykes ‘the eagle of the canavese’, jean bobet’s ‘tomorrow we ride’ and graeme fife’s exemplary biography of brian robinson, have now been joined by this essential publication. the prose is intelligent, the narrative addictive and the author’s prescience in framing the life of one of british cycling’s great characters commends it to every individual who considers themselves a connoisseur or apprentice connoisseur of the sport. time-trialling and, indeed, pretty much all forms of road and track racing, have substantially changed since the time of alf engers. whether this is seen as a good thing or otherwise, probably depends a great deal on your age and nostalgic reverence, but as someone far wiser than yours truly once said, ‘in order to comprehend the present, one must first understand the past.’ buy one for yourself and a second copy as a christmas present for your best pal in the peloton. I’ve got quite a long commute. It’s not Cottingtonesque, but it is 17 miles each way and I can just about scrape together the energy to do it three or four times a week. It’s also quite hilly, 1500ft on the way out. Yesterday I rode in, did a bit of work, then headed home just before lunch. I calculated that a couple of custard dreams and a bourbon would see me home. I’m fairly well attuned to the incipient taps of the bonk hammer. I keep a couple of gels in my bag for emergencies. Or at least, I used to, until a caffeine gel exploded in my carradice all over my pants. That was a sticky day. Anyway. I was in the middle of nowhere, also known as Clutton. No food, no money. The bonk took hold with alarming rapidity, blood sugar crashed through the floor. I thought, ‘what would Alf do?’. Then realised he’d ring Alan Shorter to come and get him. I was stuck. I remembered seeing an honesty box of apples in a driveway a week or so back. I had a mile to go. I managed some sort of parody of what pedalling looks and feels like, only to find that the apples were gone. My mind was empty. Half way down the climb I saw some blackberries. I ate handfuls. They tasted beyond good, they were blackberries grown by the God of cycling, and they limited the effects, smoothed off some of the edges. A mile or so later I found some windfall apples at the side of the A37. They were very much beyond fresh and nestled up against a dead Badger. I found one that had a section that looked edible (apple, not badger), in amongst a liquid bruise held together by skin tautened by carbon monoxide. I scrubbed it on my Lycra and it tasted good. It was my get-me-home apple. It worked. I have now put two gels back in my carradice. There are a lot of duff quotes about bikes out there, some of which are endlessly recycled (no pun intended). I came across this one whilst doing some stuff about Angela Carter. It’s my new favourite.